Taking in some of the best of the region with a half day trip around the Wood Wine and Roses drive is as easy as the 6 beautiful stops below. Delightful roses and local produce mixed with the wooded national parks and the short walks all combine to make this a day trip to suit many tastes. The first stop on the loop is the delicious Portland Strawberries. Strawberries harvested all year with both fresh and value added products available. This great stop will fill your picnic basket with a range of Jams, Liqueurs, Wine, Chocolates and much other local produce is bound to make any lunch stop unforgettable. Trelaor Roses can be found only minutes up the road from the Strawberry Farm. These lovely Roses can be purchased at the farm or on-line. 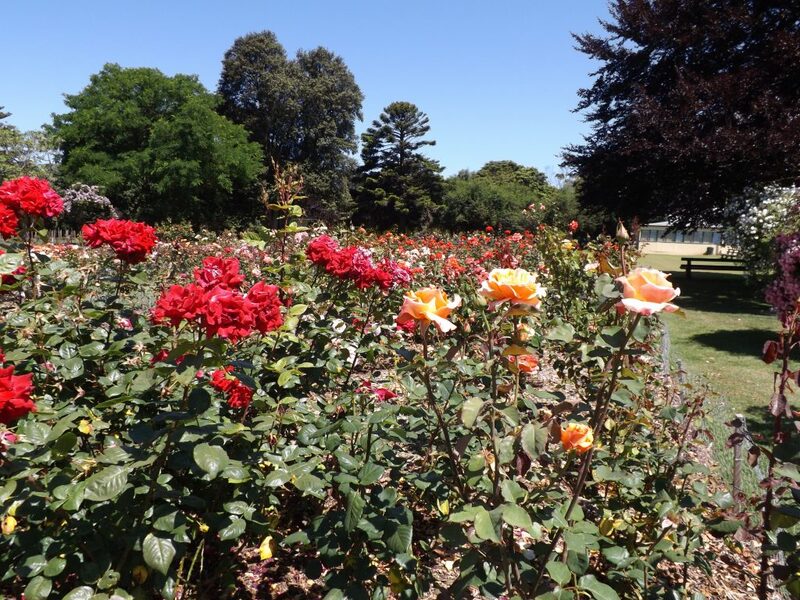 Enjoy the open garden and make a shopping list of some of the fragrant and colorful varieties that are on display year round.. New varieties are always being produced and Treloar’s are among the top rose producers for both quality and variety. Travelling further along to the home of the Wood Wine & Roses Festival at Heywood. Held on the last weekend in February every year finds the town alive with activity as the festival take s place. The rose lined main street gives many opportunities to finish filling your basket with goodies to compliment your strawberry farm purchases in readiness for some of the tranquil picnic areas available through the Cobboboonee State Forest. From Heywood the drive takes you into the Cobboboonee State Forest. 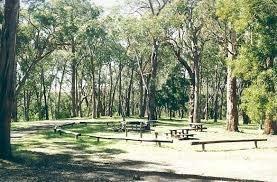 The Forest is 27,000 ha and is managed by the Department of Sustainability and Environment. Three main species of trees are found in the forest. Al these species of Eucalypt, Messmate Stringybark, Manna Gum and Narrow-leaf Peppermint are harvested and milled at the surrounding sawmills at Gorae, Heathmere and Hamilton. The suggested lunch stop is at the Surry Ridge Picnic Area. There is an option for a short walk around Tim’s Loop to work up an appetite. 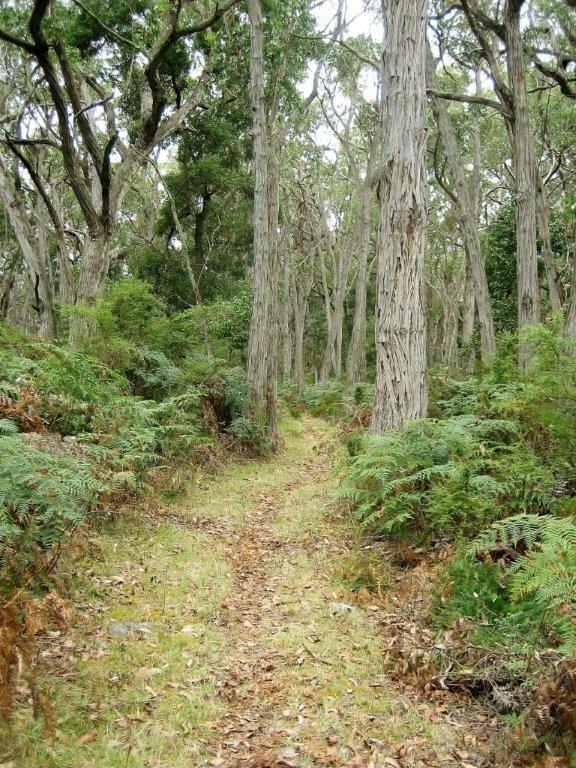 This short walk loops around crossing then re-crossing the Surry River which starts in the forest and makes its way to Narrawong. Stopping at Stringy’s Tree is an option to see a magnificent example of the Mesmate Stringybark’s. This tree was cared for by Harold “Stringy” Aldridge one of the forest overseers based at Heywood from 1930 to 1968. The final stop on the drive is the Heathland Nature Walk . This short loop walk takes around 30 minutes and is part of the greater walk – The Great South West Walk. Panoramic views of the forest and heathland are found on this walk. As you return to Portland you will see lush farmland that has been cleared from the forest and converted into farmland after settlement of the region. Dairy, Beef and Sheep are the predominant livestock in the area and the volcanic ground provides good quality top soil for pastures.